Want to feel like you’re driving a Porsche 911 for less than €15,000? Ok, so maybe saying it drives like a Porsche is a bit of an exaggeration, but the new Renault Twingo does share the engine in the boot phenonomen with it. The Twingo is a really cute, yet stylish looking five-door city car. The handles on the rear doors are moulded into the window, so to the uninitiated, it actually looks like a three-door. It also carries a glass boot lid, which is currently very popular with city car designers. Inside, the two-tone cabin is minimalist and chic. Our mid-level Play test car had white plastic inlays with black surrounds on the door handles and arm rests. These can be personalised. Storage is deceptive, with two cup holders hidden away under a lift-out storage box in the centre console. Always-on cruise control is switched on via a button on the centre console. Infotainment, on the face of it, is very basic, with just radio. However, download the R & GO app to your smartphone and you also get SatNav, phone, music streaming and a trip computer. The phone can be mounted on to the centre console for easy access. It’s compatible with Android and iOS (Apple) phones. I used it with an Android and I found that it worked really well. However, the cradled phone obscures the physical radio buttons – meaning you have to operate the radio via the phone app – this is far more annoying that it might seem. The cabin, meanwhile, is surprisingly spacious, with good leg- and headroom in both the back and the front. The Twingo is a four seater and the rear is generous enough to seat two adults comfortably. As previously mentioned, the engine in this car is in the boot. This does limit boot space – but there’s plenty of room for a small suitcase or weekly grocery shop. 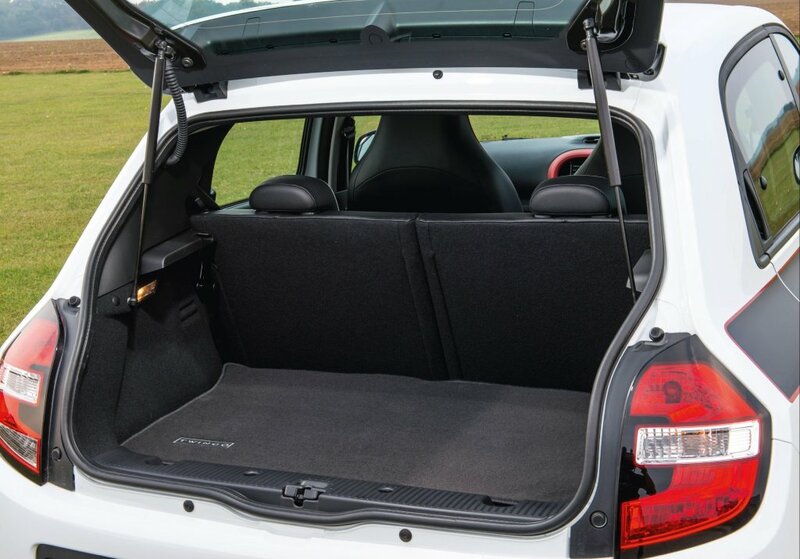 However, if more cargo space is needed, the rear seats easily fold flat, as does the front passenger seat. This means that if passengers aren’t a priority, there’s loads of luggage/flatpack furniture space. Renault doesn’t capitalise on storage space under the bonnet though. While there are electric windows in the front, the rear windows in this car are of the pop-out variety. Although sure to elicit complaints from regular backseat passengers, they are, at least, easy to open and to close. 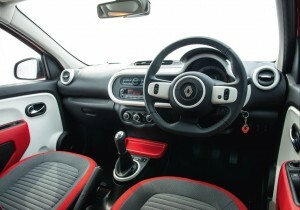 On the road, the Renault Twingo is surprisingly fun to drive. Our route in the five-speed manual 1-litre Play saw us mainly in the city, with urban motorway driving thrown in for good measure. I found it excellent in the city. It’s easy to handle and running through the gears feels good if you have a clear run on a 0-30kph roadway. The tight turning circle is also really great for narrow city streets, parallel parking and high rise car parks. It’s not the fastest on the motorway, but then again it’s not really expected to be. And, because the Twingo is quite light, you do get bopped around a bit on said motorway on a windy day. Overall though I loved the Twingo. It’s a really cute little city car that looks good and drives well. 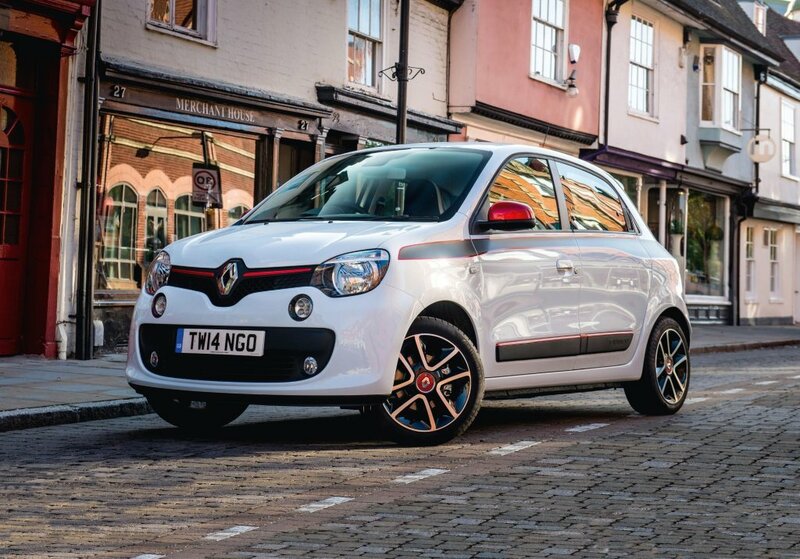 The Renault Twingo is available now, with prices starting from €13,990. Prices for the mid-level Play model I was driving start from €14,590. Visit the Renault Ireland website or its Facebook page for further details.